As you may have noticed, we were experiencing several DDoS attacks in the last weeks unfortunately. Since this resulted in some downtimes of the game, we decided to get rid of the hive (which was responsible for user authentication in the first place). With this update, authentication is now solely handled by Steam. Even if our servers are offline, you can still play multiplayer. As a result, the usernames are no longer unique, since the SteamID is now used to identify a player. This allows you to change the username at any time (menu -> profile). Old worlds will be converted automatically, so you (hopefully) won't lose your inventory. These changes not only affect authentication, even the server list is handled by Steam. We added support for the source query protocol, and Rising World server can also be found in the Steam server browser now (Steam -> View -> Servers). Unfortunately there wasn't much time left to work on other features, but we still fixed some bugs and added a few smaller things, like a crowbar (which enables you to deconstruct planks and beams without destroying them). The character is now also able to crouch properly, although this still needs some tweaks. We hope you also enjoy the two new music tracks we added to the game! If you experience any problems with this update, please let us know! The post was edited 2 times, last by red51 ( Feb 19th 2018, 2:59am ). The crowbar !!! Half life 3 confirmed seriously, big thanks for that ! I try this update on single player for now. tomorrow, I will try update the server. Can we have a linux command line for steamcmd update ? Can we have a linux command line for steamcmd update ? I think you have to wait a little for servers admins update the servers. As this is a big update server side (all servers need to be steam servers), we need to take some time. Great work Red! I've the day of work tomorrow so I'll be attempting my server migration first thing, then off to update my plugin. Has the new Javadoc and API been released too? Has the new Javadoc and API been released too? What happens exactly when trying to start the server? Oh I see! I'm a beginner at this game and ALSO a beginner when it comes to game updates Thank-you for your response! I updated server and pressed start and it tried but an error showed on gtx and it never started and it is not creating a log file. I have tried many times now. I rechecked that the server was updated and it said that the server app 339010 was fully up to date but it still won't start. The post was edited 3 times, last by sharkbitefischer ( Feb 15th 2018, 12:02am ). Oh definitely! 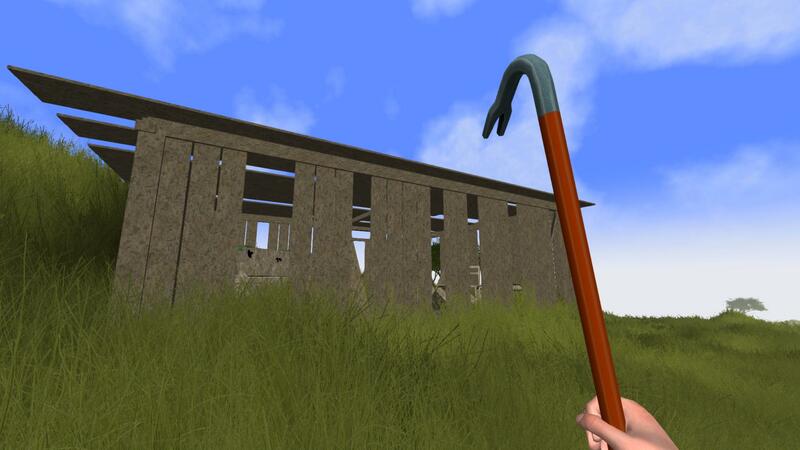 This crowbar works well. I like the sound effect too! I got a serious Half-Life vibe while climbing a ladder with the crowbar wielded.